With over 17,000 signatures by the time he was done, Abdullah Coldwater withdrew his change.org petition to demand Rotten Tomatoes shut down, saying that he didn't expect it to become such a big deal. "In fact i started this petition to gather DC fans to express our anger just for fun. I didn't mean it to be taken that serious," writes Coldwater, who started and administered the petition. "After thinking, I found this petition is pointless. And the only thing that it does is spreading a speech of hate and online fighting among the supporters and objectors . The movies is [sic] something to enjoy. And the hate and fight is the opposite of enjoying." During the two days that the petition was online, it garnered a lot of media attention -- almost all of which was exasperated reports about fan entitlement and a whole lot of snark and meanness directed at Coldwater and those who signed his petition. His response, right up until he decided to close the whole thing down, was to continually post links and embed tweets in the petition's update feature, giving anybody who might consider signing a pretty complete picture of both the positive and negative responses the petition was getting. Coldwater credits his decision mainly to a pair of YouTube videos, which you can check out at the preceding links. Coldwater had launched the petition after the first wave of Suicide Squad reviews came back and they were significantly more negative than fans had expected based on a handful of well-received trailers. 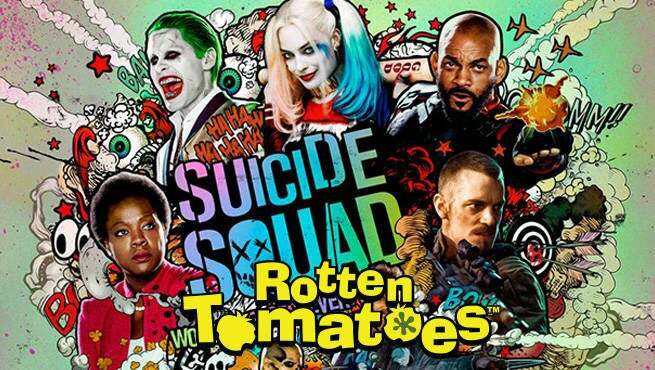 The petition claimed that DC's movies were being penalized too harshly by the binary nature of Rotten Tomatoes's review scoring system.